As a consumer, you may have concerns about the environmental impact of the jewelry you wear. There is no doubt that the mining of precious metals has negative implications for the planet. Mining practices can contaminate the water supply, cause erosion and disrupt habitat. At Equinox, we have always been committed to recycling. The gold we use comes from secondary sources. It is not newly mined. 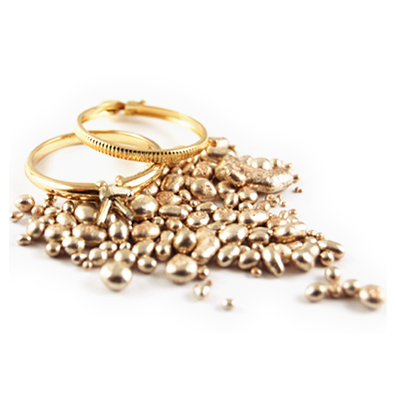 The majority of our gold is recovered from jewelry that is no longer being worn. 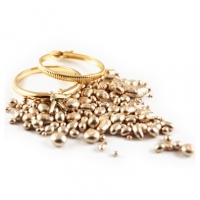 Refining and re-alloying recycled gold reduces the quantity of waster products by 75% over the amount of waster generated when refining newly mined gold.. Platinum and palladium refining process reduces the quantity of waste products by 60%. All furnace and exhaust fumes are processed through a scrubber system that removes all harmful particulates, cleaning the air before it is released into the environment. The water treatment facility removes all harmful materials from the waste water before it is evaporated. Absolutely no waste water is discharged into the environment. If you would like to have us create jewelry from your gold you already own, we encourage you to bring in these items for redesign. By reusing the components of your old jewelry, you are preserving aspects of your personal heritage, while recycling. You may choose to have your gold incorporated into your new jewelry, or you may opt to trade it to us toward the cost of your project. When using your gold as a trade-in, you are not limited by the color or the karat of the metal you supply. For example, you might decide to trade your 14K yellow gold toward 18K white gold jewelry. All diamonds that are set in our jewelry are certified as conflict-free. These diamonds are carefully controlled from their mining origins and along each step of distribution and marketing. This system of monitoring ensures that our diamonds come from reputable sources. These measures guard against gems that have been used to finance terrorist activities. We also provide alternatives to newly mined diamonds such as Canadian diamonds and laboratory grown diamonds. You can find more information on diamond alternatives on this page. We also can provide laboratory grown gem-quality diamonds. The product is chemically, physically, and optically identical to naturally occurring diamond crystals. Laboratory-created diamonds can be distinguished from naturally occurring stones using spectroscopy to detect trace impurities of nitrogen, nickel or other metals in their composition. Reputable manufacturers of laboratory-created diamonds are committed to the disclosure of the origins of their diamonds. Feel good about the jewelry you are wearing and be assured that it is made locally using materials that are conscientiously sourced. When you purchase jewelry from Equinox you are contributing to a locally owned, neighborhood-based business. Almost all of the products we sell are designed and produced by us here in our workshop in Northwest Portland. We have a personal commitment to eco-friendly practices. In addition to recycling our metals, we recycle paper and glass. We are avid supporters of alternative forms of transportation. We personally walk, bicycle, and use Tri-Met whenever possible to commute to work and do errands.